Triangles are my most favorite shape. 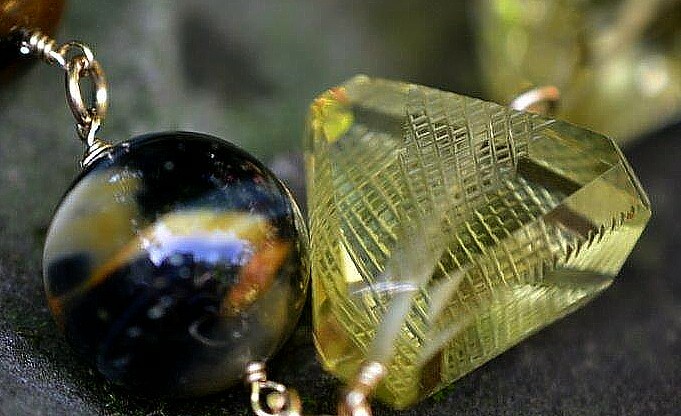 I had to have these etched lemon quartz. First because of the shape and I had never seen a crisscross etching like this. I am not a big fan of cat’s eye or tiger’s eye unless they don’t look like the average bear. That’s exactly what I’m always seeking out. Unusual colors and cuts. 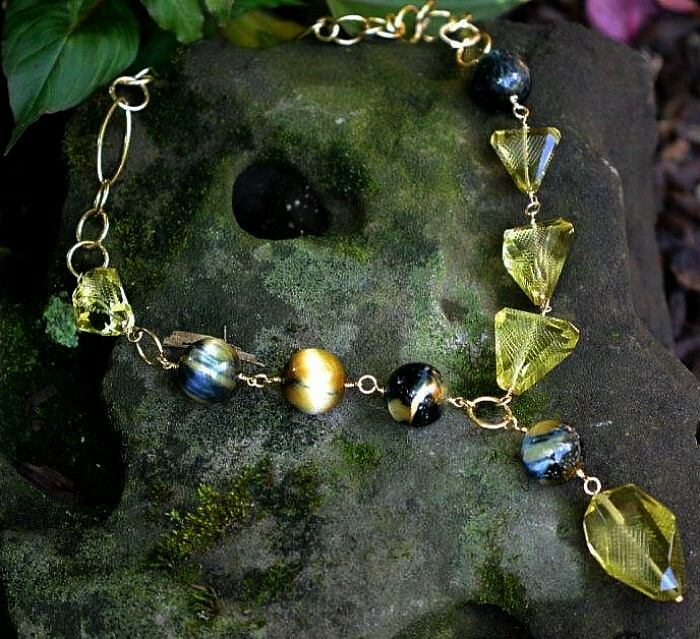 These Honey tiger’s eye have lots of glow and I love the mixtures of colors in each bead. 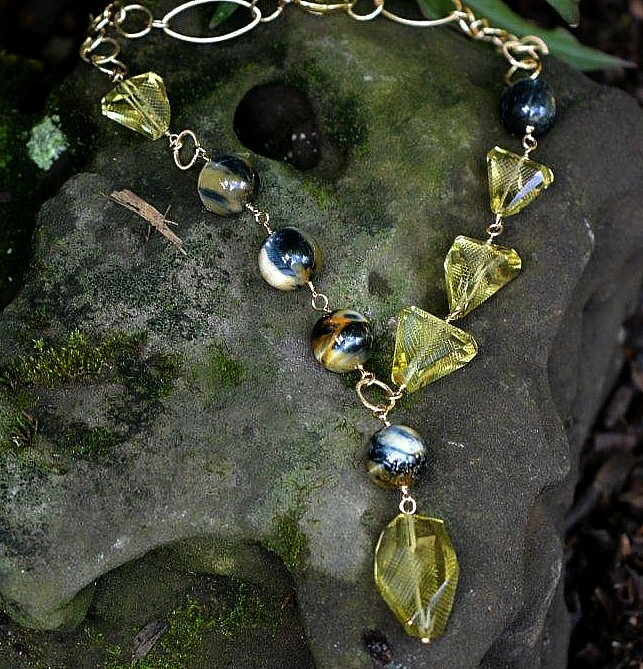 The Lemon quartz makes the necklace pop. Smooth on one side and chunky on the other. Gold filled chain to complete the necklace. These photos were taken on my pet rock. See previous post as to why I have a pet rock. This is fun, elegant and if you are a blue jean queen…wearable art is for you. This piece can also go from day to night. The mood depends on you.